New light setting, new colors, and protective cover now available. 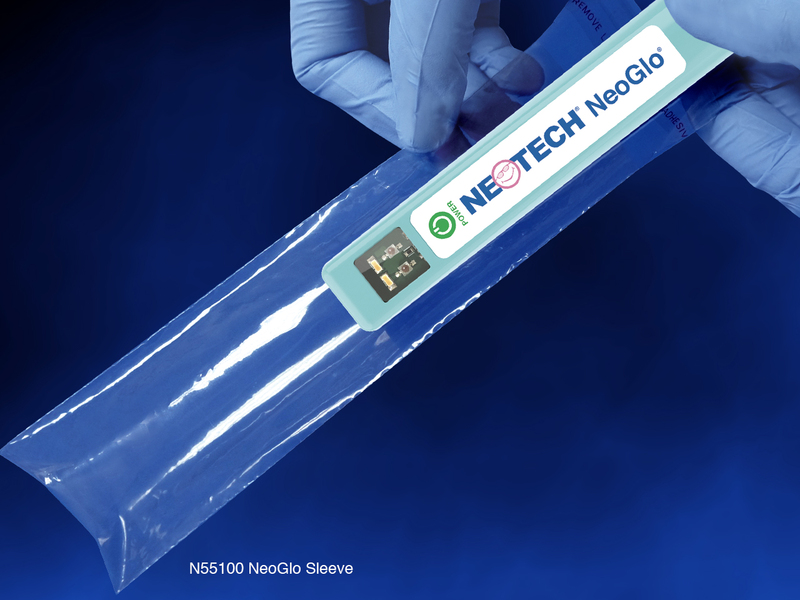 Valencia, CA: Neotech Products is excited to announce the release of the NeoGlo® 2.0 and the NeoGlo Sleeve, an improved transilluminator and protective cover. After the successful launch of the NeoGlo Transilluminator last August, Neotech received product input from clinicians and end users on how to make the product even better. We heard their feedback and from it came the NeoGlo 2.0 and the NeoGlo Sleeve. The NeoGlo 2.0 features a new light setting, upward facing white and red lights on at the same time. This provides the user with a fourth option to aid in the examination of soft tissue. 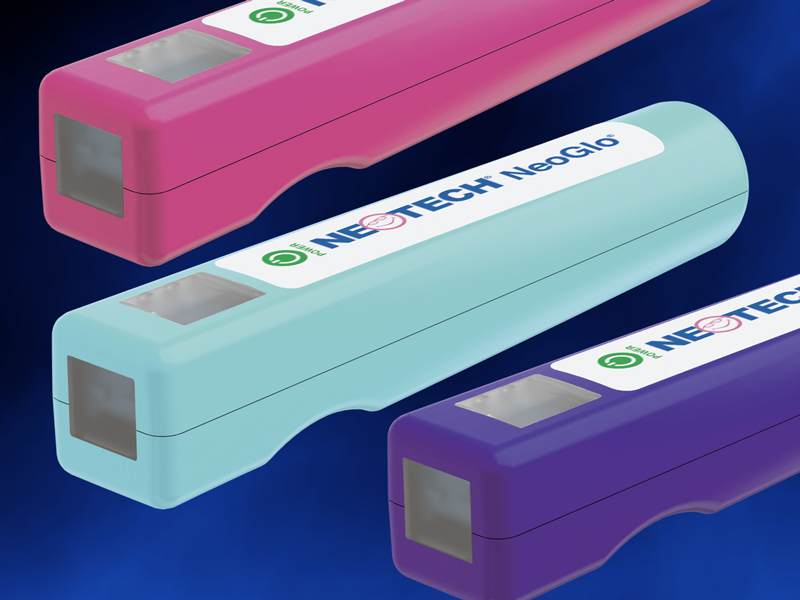 The NeoGlo 2.0 also features three new exciting colors to choose from: Bright Pink, Aqua, and Violet, to compliment the existing colors of Rose, Blue, Silver, Black, and White. “Neotech takes the time to listen to feedback from clinicians. This feedback births changes throughout all of our product lines. Without this valuable feedback we would not be able to advance our technology for the benefit of the user,” said Sara Dimmitt, Manager of Business Development. 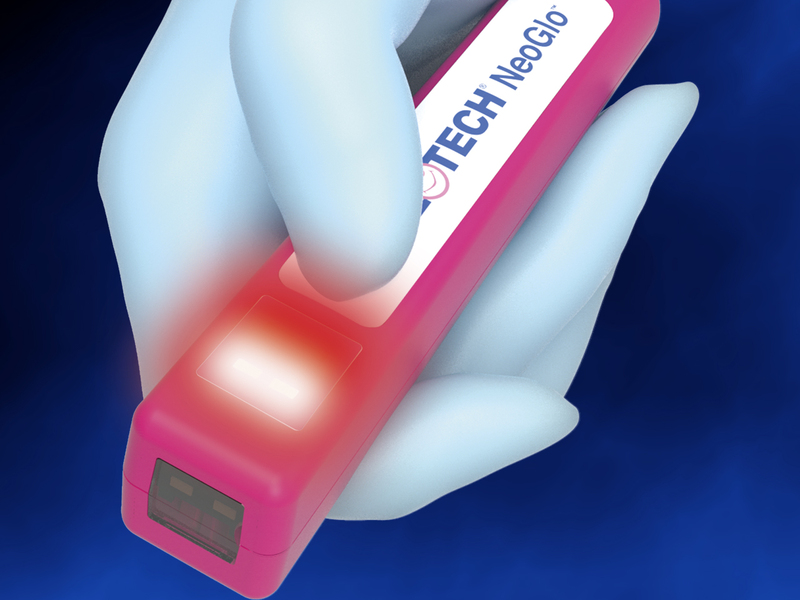 Along with the new NeoGlo, Neotech is releasing the NeoGlo Sleeve. The NeoGlo sleeve is a disposable, protective cover designed to help keep the NeoGlo clean and protect against bodily fluids. The transparent NeoGlo Sleeve is durable, disposable, and features a self-sealing flap. “With infection control being a top priority in the hospital, we wanted to create something that was a quick, easy solution to add a layer of protection for the NeoGlo,” Dimmitt said. Click Here to purchase your NeoGlo today!